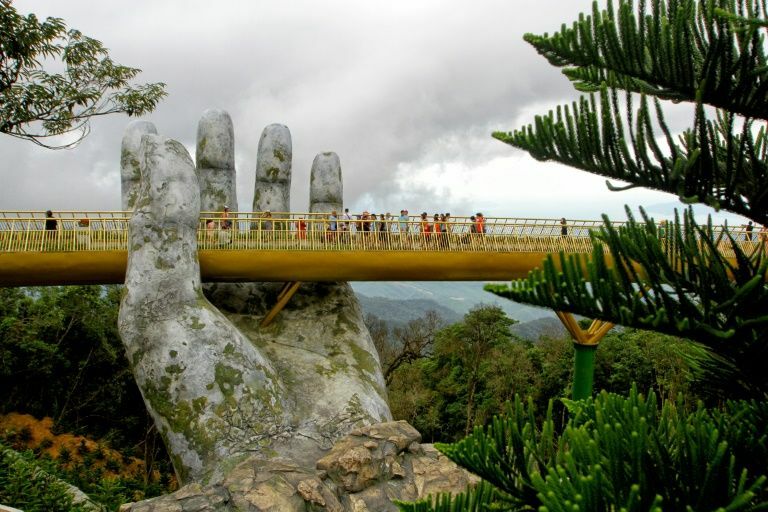 Designed to make visitors feel like they're taking a stroll on a shimmering thread stretching across the hands of gods, the "Golden Bridge" has attracted hordes of guests since it opened in the Ba Na Hills near Da Nang in June. In 2016 it opened a cable car on Vietnam's tallest mountain Fansipan in the tourist hotspot Sapa, prompting complaints from locals who felt it spoiled the landscape and took business away from trekking guides. The Southeast Asian country has long sought to boost visitor numbers and position itself as a must-see destination in Southeast Asia.